This week we have something completely different. Heaps of Aussies travel to Thailand to holiday as it is one of our more popular destinations. However, I wonder how many know that wine is made in Thailand and that some of it is bloody good? Well, there are in fact over half a dozen wineries in Thailand. I have tasted wines from two of these, SILVERLAKES and GRANMONTE. It is the latter, GRANMONTE that I am reviewing this week. 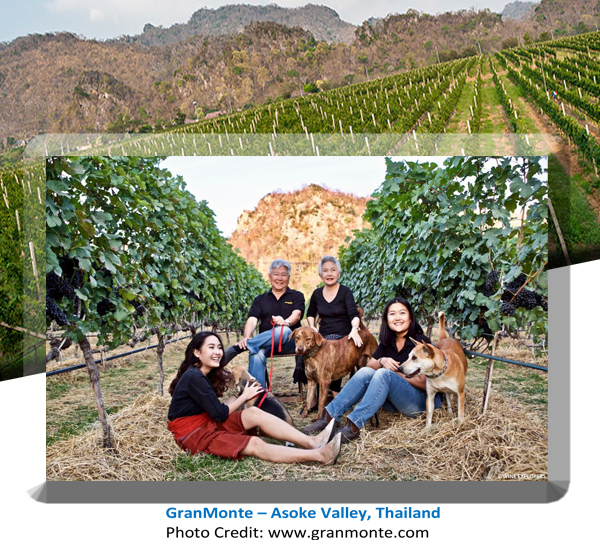 Located in the Asoke Valley some 350 metres above sea level and about two hours north-east of Bangkok, this winery is also a beautiful holiday resort. Set up in 1999 by Visooth and Sakuna Lohitnavy, whose two daughters make the wine (Nikki – Adelaide Uni trained) and market it (Mimmi). All told the estate produces some 16 different wines, made from a range of “classical” European varieties. The GRANMONTE 2017 VERDELHO at 13.5% alcohol, is a fuller-style than the typical low alcohol, austere, Hunter Valley Verdelho and is rich with tropical fruit aromas and flavours, perfectly balanced and delicious. I actually prefer this style to drink as a younger wine, rather than the Hunter style. 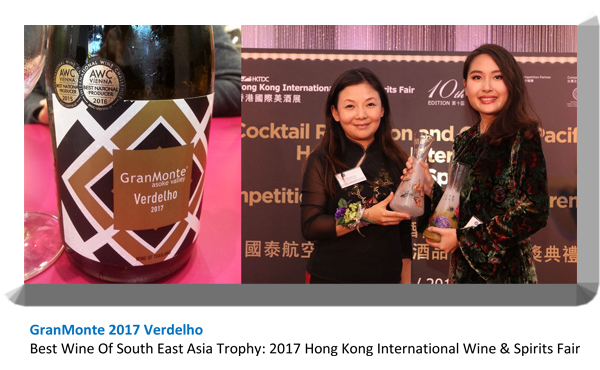 To prove its quality and appeal, it just won the trophy for the “Best Wine of South East Asia” at the recent Hong Kong International Wine & Spirits Fair. However, my absolute favourite is the GRANMONTE 2014 DURIF – yes, I did say Durif!! It is an absolute cracker of a wine, with masses of colour, alluring aromas and a big dollop of rich, yummy flavours (It is very reminiscent of either the De Bortoli Vat 1 Dean Durif or the Three Bridges Durif in depth and flavour). An outstanding, consistent wine – vintage after vintage. I have tasted the last three vintages of this wine and they are all equally as attractive and delicious. It would stand up well in a blind tasting of Aussie Durif. GRANMONTE also make a pretty darn good “METHOD TRADITIONELLE” EXTRA BRUT CREMANT and an alluring SYRAH VIOGNIER that is pretty swish. So next time you are in Thailand, try the local wines and expand your wine repertoire.